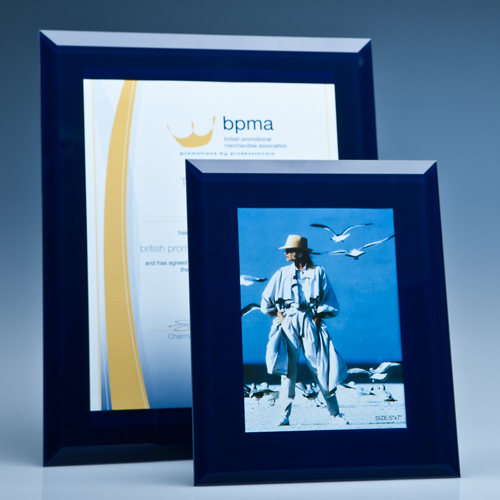 The stylish A4 certificate holder is made out of blue glass with a polished edge and 1/2 inch bevel on all 4 sides. The mounting board on the back allows free standing vertically or horizontally, alternatively it can be hung on the wall vertically or horizontally. They are ideal graduation gifts to display the certificate and engrave the course details onto the black glass. They are supplied in individual white gift boxes.